An originator of the ‘new journalism’ style, he went on to write novels. The birth of the literary movement known as New Journalism can be traced to one coffee-fueled episode in 1963: Tom Wolfe’s all-nighter. He had been sent to California by Esquire magazine to report on a gathering of custom-car designers and casually cool teenagers. Photos of lacquer-painted cars were laid out on the pages, and the magazine was about to go to press, but Wolfe wasn’t able to complete his first assignment for Esquire. Finally, managing editor Byron Dobell told him to write up his notes as a memo, which the editors would shape into a story. Tom Wolfe’s career didn’t immediately take off, and he claimed that he once took the Associated Press writing test and “dismally failed” for embellishing the test material. Nevertheless, he eventually fell in love with newspaper writing, which underpinned his groundbreaking “New Journalism’ style, an amalgamation of classic literary techniques fused with hard-nosed, streetwise reporting. Wolfe began typing at 8 p.m. The story, “There Goes (Varoom! Varoom!) That Kandy Kolored (Thphhhhhh!) Tangerine-Flake Streamline Baby,” was more than a dutiful report on the car convention. Wolfe had discovered an underground culture among the West Coast car designers, hailing them as the vanguard of a new form of modern art, not unlike Picasso. Seldom had journalism seen such an audacious display of observation, wry humor and go-for-baroque verbal dexterity. Wolfe invented words, wrote in the point of view of his characters and peppered his pages with ellipses, italics and exclamation marks. Just like that, the legend of Tom Wolfe was born. Wolfe, who had a transformative effect on journalism and later became a best-selling novelist, died May 14 at a Manhattan hospital. He was 88. His agent, Lynn Nesbit, confirmed the death to the Associated Press, but no other information was immediately available. In 1963, Wolfe was a little-known reporter at the New York Herald Tribune. Less than two years later, when his first collection, “The Kandy-Kolored Tangerine-Flake Streamline Baby,” was published, he was one of the most famous and influential writers of his generation. Perhaps his most memorable coinage was the title of what is often considered his greatest achievement: “The Right Stuff.” Published in 1979, the book was an epic account of the idea of American heroism, viewed through the exploits of military test pilots and astronauts. 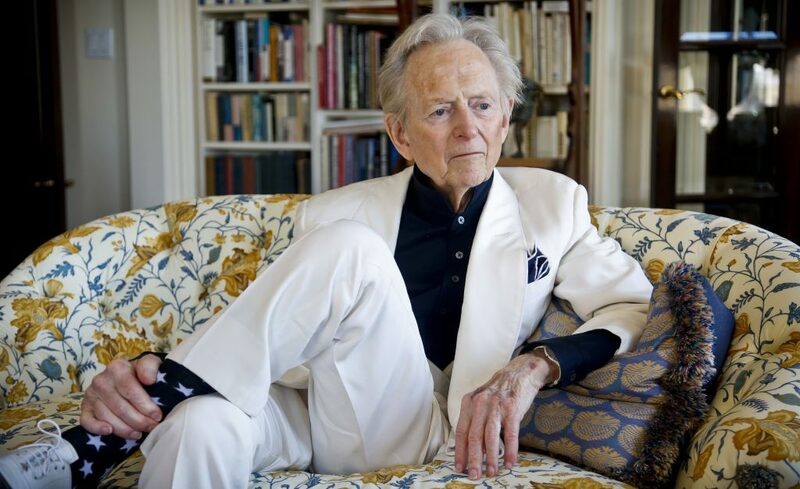 American author and journalist Tom Wolfe Jr. sits in his living room during an interview about his book “The Kingdom of Speech,” in New York in 2016. Wolfe died at a New York City hospital. He was 88. Wolfe chronicled the rise of the hippie generation in “The Electric Kool-Aid Acid Test” (1968), mocked the pretensions of Manhattan liberals in “Radical Chic” (1970) and of the art world in “The Painted Word” (1975). He gleefully violated the city editor’s dictum to trim each sentence to a sleek, understated nugget of news: For Wolfe, no verbal extravagance was too much. “American journalism has never had a practitioner who combined the attributes of talent, audacity, learning, legwork, and pure observation as well as Tom Wolfe,” author and scholar Ben Yagoda wrote in “The Art of Fact,” a 1997 anthology of narrative nonfiction. Wolfe was considered the leader of an ink-stained avant-garde that included Jimmy Breslin, Joan Didion, George Plimpton, Gay Talese and Hunter S. Thompson. Their personal, immersive style was imitated, with varying degrees of success, in practically every newspaper feature section in the country. “The most important literature being written in America today is in nonfiction,” Wolfe asserted in his 1973 anthology, “The New Journalism,” which became the standard if prosaic rubric for his style of writing. Despite frequent appearances on television and on college campuses, Wolfe remained curiously opaque. He wasn’t a pill-popping, pistol-waving renegade like Thompson; he didn’t dabble in Hollywood, like Didion; he wasn’t a party host, like Plimpton; and he wasn’t a serial husband with a violent streak, like novelist-turned-New Journalist Norman Mailer. 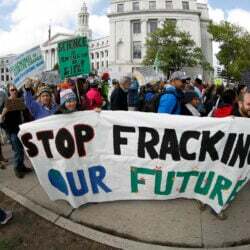 The biggest question surrounding Wolfe’s methods was the simplest: How did he manage to win the trust of such disparate groups as Southern moonshiners, car fanatics, socialites, hippies and astronauts? By his account, it was simply by hanging out, watching and listening – in other words, being a reporter. He entered the world of stock-car driver Junior Johnson – the title figure of a 20,000-word Esquire article, “The Last American Hero” – so completely that he described the chickens walking across Johnson’s yard in Ingle Hollow, North Carolina. In 1966, Wolfe climbed aboard a bus with an LSD-dropping coterie of hippies led by Ken Kesey, author of “One Flew Over the Cuckoo’s Nest.” The Merry Pranksters, as they called themselves, traipsed around the West in search of enlightenment but often stumbled into misfortune and unintended humor. In “The Electric Kool-Aid Acid Test,” Wolfe described a surreal scene as a police officer pulled the bus over while a forest fire was in full blaze. Wolfe spent much of the 1970s working on “The Right Stuff,” a gripping chronicle of inner world of test pilots and more rarefied group that grew out of them – the country’s first astronauts. He scaled back his customary satire and mockery, adopting a relatively sober style befitting his larger subject: what it takes to be a hero. The book won the American Book Award, became a best seller and was made into a 1983 film with Sam Shepard and Ed Harris. Thomas Kennerly Wolfe Jr. was born March 2, 1930, in Richmond, Virginia. His father was an agronomist and edited the Southern Planter, a magazine for farmers. His mother was a homemaker with varied artistic interests. At Washington & Lee University in Lexington, Virginia, from which he graduated in 1951, Wolfe wrote for school publications. He also pitched for the baseball team and once had a tryout with the New York Giants. In graduate school at Yale University, his dissertation about Communist influences on American writers was initially rejected in part because of its attention-getting style. He rewrote it in dry academic prose – including a reference to “an American writer E. Hemingway” – and received a doctorate in American studies in 1957. Rejecting academia, Wolfe toyed with the idea of becoming a cartoonist before becoming a newspaper reporter, first in Springfield, Massachusetts, and from 1959 to 1962 at The Post. At The Post, he had no interest in the high-profile national desk, preferring to cover quirky local stories with a hint of the insouciant style about to come. He then joined the Herald Tribune, a struggling paper with a tradition of stylish writing. The editor of the paper’s Sunday magazine, Clay Felker, encouraged Wolfe to pursue the stories – and the style – that he wanted. Determined to stand out in other ways, the trim, 6-foot-tall Wolfe became a conspicuous dandy, wearing custom-made suits, often in white or pastel colors. A four-month newspaper strike allowed Wolfe time to write his first pieces for Esquire. When the strike was settled in May 1963, Wolfe flourished, writing freewheeling stories for his newspaper and traveling on weekends for Esquire. After the Herald Tribune folded in 1967, Felker launched New York magazine, which became a showcase for Wolfe. His style was so overwhelming that it masked what wasn’t there: Throughout the turbulent 1960s and ‘70s, he avoided writing about the war in Vietnam, civil rights, the women’s movement, foreign policy or politics. He seldom wrote about celebrities. Above all, Wolfe never wrote about himself. When he married for the first and only time at 48, it took many by surprise, if only because he was so guarded about his personal life. Survivors include his wife, Sheila Berger, a former art director of Harper’s magazine, of New York; two children, journalist Alexandra Wolfe of New York and furniture designer Tommy Wolfe of Brooklyn. For years, Wolfe disparaged the modern novel as a lifeless relic that could be revived only with a muscular framework of reporting and social realism. Deciding to do the job himself, he published “The Bonfire of the Vanities” in Rolling Stone magazine, then, after considerable revision, in book form in 1987. The novel describes the comeuppance of a wealthy bond trader and self-crowned “master of the universe” – another term coined by Wolfe – amid the racial and cultural turmoil of New York. “Bonfire” sold millions of copies and was made into a 1990 film with Tom Hanks, Melanie Griffith and Bruce Willis. Wolfe received the National Humanities Medal from President George W. Bush in 2001 and sold his archives to the New York Public Library in 2013 for $2 million. His later novels – “A Man in Full” (1998), “I Am Charlotte Simmons” (2004) and “Back to Blood” (2012) – received tepid reviews. He feuded with novelists John Updike and John Irving over dismissive comments they made about his fiction. He continued to publish nonfiction books well into his 80s, with critics noting that he often skewered the absurdities of the left but never the buffoonery of the right. What he didn’t lack was confidence in the power of his prose.